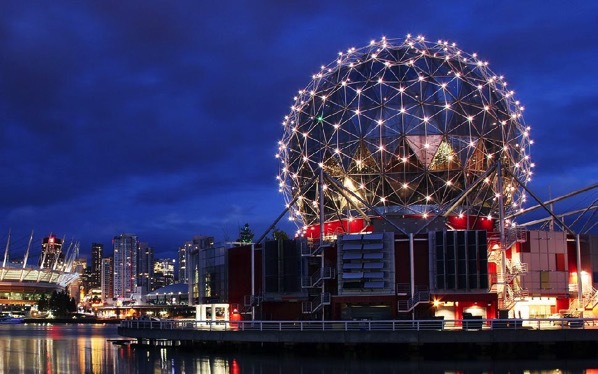 Airbnb has just announced the launch of its Trips service in Vancouver, only the second city in Canada to host bookable experiences offered by passionate locals. For those who aren’t aware, Trips allows travellers to experience a different and authentic side of a city, by bringing together where you stay, what you do and the people you meet all into one place, and all powered by local people. Modern Matcha Ceremony: Similar to a fine-wine tasting, this fine-matcha tasting with host Kimmy is a one-of-a-kind experience in a private dining room overlooking a stunning West Coast view. Find your true Zen moment as you learn about the history and meaning of a tea ceremony and indulge in fine artisan cheese and delicate matcha sweets pairings. Wine Tasting with a Somm: Cat’s pee on a gooseberry bush? What does that even mean! Find out the answer to this and many other strange wine questions with sommelier Robin in this fun, three-hour tasting session hosted in a private tasting room. You’ll learn how to assess the quality of a wine and go on a guided tasting of seven wines to help you acquire the skills you need to elevate your wine knowledge. Indigenous Wisdom of Native Plants: With host Lori, a herbalist and educator, you’ll discover the wild, native, edible, and medicinal plants that are growing abundantly beneath our feet. On this interactive walk, we’ll learn about plant identification, the best time to harvest, and how you can incorporate this indigenous wisdom into your lifestyle. Plus you’ll sample plants along the way. Explore Craft Beer: Take a trip with Experience Host Paige as she guides you on a tour of Vancouver’s best craft beer. You’ll explore three local breweries that offer smaller batches and unique brews that you can’t find anywhere else, plus taste a variety of offerings from each location. North Shore Running: The great outdoors are at Vancouver’s doorstep, and with local expert Dylan, you’ll experience the best of British Columbia running. We’ll pick our way down a rocky trail one minute, cruise the boardwalk the next, and a few steps later we’ll marvel at a raging river beneath our feet. Afterwards, we’ll relive the adventure over a fine craft beer and good food. For more information, hit up this link.